On Sunday 29th October, we had the opportunity to share information and insight about our range of services. 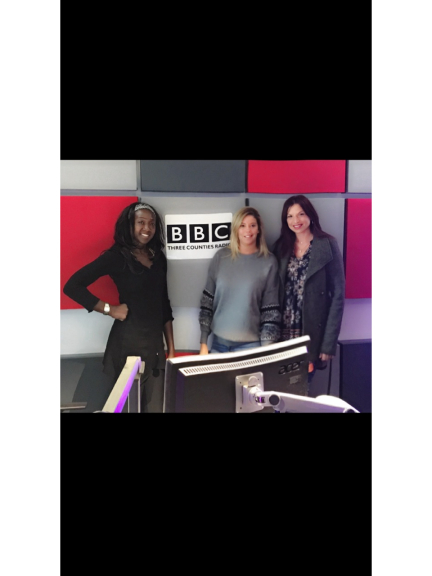 We were invited onto the weekly BBC Three Counties Radio show, 'The Health Show' with Nana Akua. Our Starlight Services Manager, Joanna Marovitch and Alisha Bowell, who has been supported by the Hospice, went into the BBC studio to chat about our work and the impact it has. Alisha shared her personal experience of hospice care - she reflected on how our meditation group helped her following her cancer diagnosis and the care her father received in our Inpatient Unit. Joanna and Alisha also nailed the superfood quiz, a weekly quiz on the show, and are now experts on the Yam. To hear the interview please click here.